This Custom Front Exterior Entry is made of Mahogany and is a pair of 36″ X 80″ Style “H” Doors. 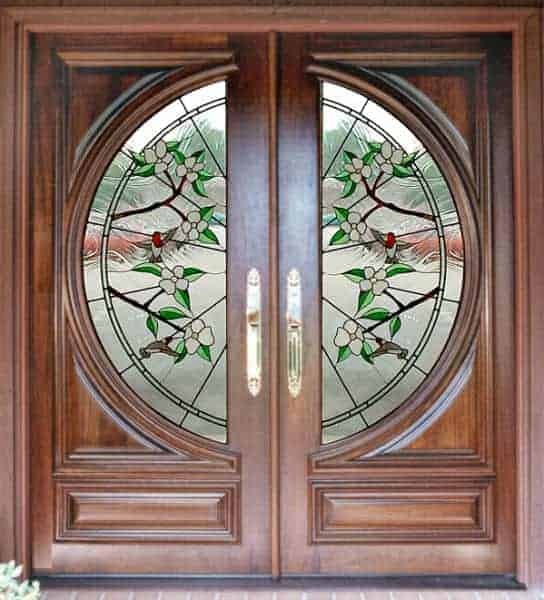 The Custom Designed Leaded Textured Stain Glass includes Hummingbirds and Dogwood Trees. Below is a picture showing the detail of the Custom Leaded, Beveled, and Textured Glass.